Photos from previous months can be quickly located by following links in the first post of the 'About Photo-a-Day' thread. I was interested to see in a photo in last month's thread of a wild strawberry with yellow flowers. 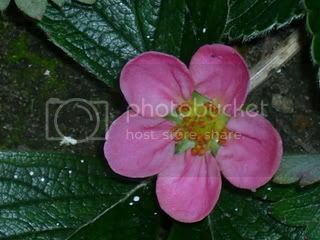 I have a form of strawberry plants in my garden which produce midget fruits like wild strawberries and the blossom is pink, then so is our cultivated strawberry blossom. This is my 'wild' one, the white flecks are from my garden makeover, it is paint. They are lovely TW, Mrs TW has been very busy! What lucky grandchildren. 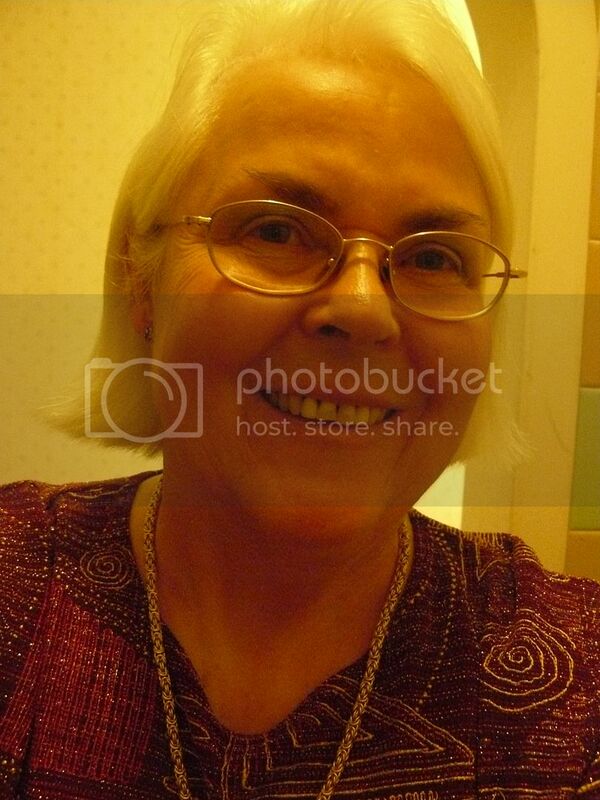 Wow, tell Lynda they are really lovely. She works at them with a passion until the last stitch is done. She says making them is a good wintertime occupation because they keep her legs warm while working. This is my daughter's cat, Crookshanks. No prizes for guessing she's a Harry Potter fan. I call him "the ginger whinger" because he gets very vocal when he wants to be fed. The East Hill Lift is said by locals to be the steepest funicular railway in the UK. It takes you from the old fishing quarter of Hastings up to the top of the cliffs. It's not a vast height (probably less than 100 feet), but it saves a steep climb up streets or steps. The return fare, I'm told, is £1.50. 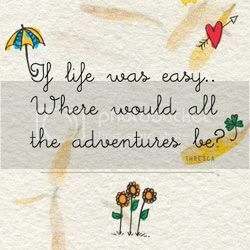 Of course, the pound sterling is just a joke these days, but the fare (like the cliff) seems pretty steep to those of us who remember it being fourpence up and a penny down. I'll probably carry on using my legs. 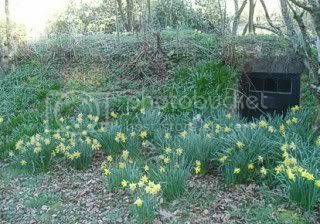 An Anderson shelter provides the backdrop to some daffodils in our garden. You're looking at the side, there is another door on the end to the left of the picture. It's in pretty bad condition, with concrete coming off the walls inside. What looks like a white bit of junk next to the door, is actually a natural white stone, so you can find the shelter in the dark. Minstrels at an English Civil War banquet - note the wooden spoons for drumsticks! And MotherGoose, your daughter's cat is adorable! 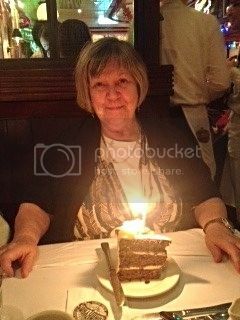 I just wanted to say I'm really enjoying looking at the pictures on this thread. 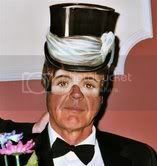 You all post such wonderful pictures. 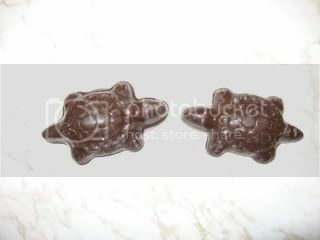 In a bag of white chocolate that I got awhile ago were these two chocolate turtles (or are they tortoises? ), and I can't bring myself to eat them. They remind me of the real thing that I had as a pet when I was six or seven years old - they're even the same size! Do they have to live in the refridgerator during summer? This is the only tree a cat won't climb.It's called a Monkey Puzzle tree and I think they are very interesting to look at. They grow to huge heights but this was a baby one. 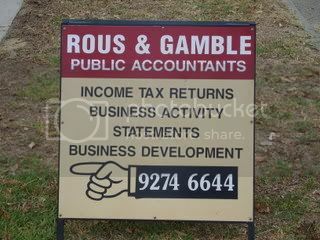 This is a roadside sign for a firm of accountants near where I live. Would you trust accountants with a name like this!? Hmmmm, thanks MG you gave me an idea for a thread. Ok, let's see if I can do this for the first time. 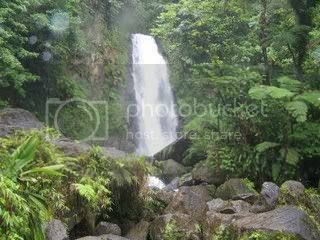 This is Trafalgar Falls in beautiful Dominica. I took this on vacation a few weeks ago. People have been posting photos of disguised 'phone masts. I went for a walk on the common and took a photo of a 'phone mast there, it is literally yards from a most spectacularly beautiful area. 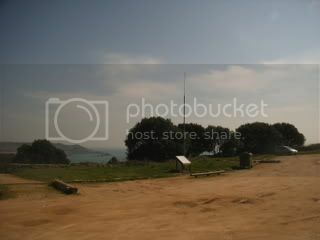 I don't know how they could disguise the mast but this is quite horrid, you can just see the view through the bushes. 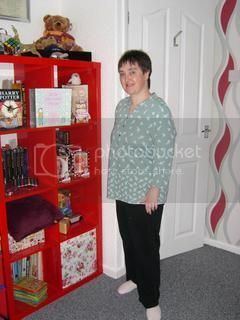 Tomorrow I will post a photo taken from about three yards/metres away. On the plus side, should I have a bad fall (and I did fall today trying to walk down to the beach) I will be able to use my phone to call for assistance. You don't see many young ones, at least round here, so an interesting photo. 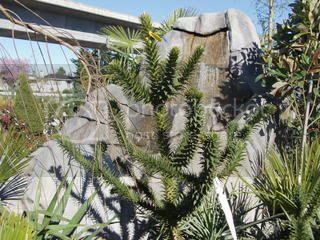 It's other names are Chilean Pine and Araucaria, though as you say 'Monkey puzzle' is the best known name - and very descriptive too. They are native to Chile and Argentine, and it's actually been designated a national monument in Chile. The view along Chester high street early Sunday morning, taken from the City walls. I find the monkey puzzle fascinating to look at too: I don’t think I’ve seen a young one before. The waterfall in Dominica is magnificent. I’ll have to go to Chester one day: Aramis’ photo looks splendid, and I suspect that the city is less of a tourist trap than (say) York. This is All Saints’ Church, Hastings.